It’s the 7th week of the year and the card of the week is the 8 of Pentacles. This is a card of staying focused on your goal. It’s strange because each week a lot of the same cards repeat themselves. This has been happening since I came back to doing the forecast a few weeks ago and it’s atypical. It seems that we keep having to revisit different lessons in a different light. We’re being asked to use others as a mirror and see what reflects back to us. If you’ve spot it, you’ve got it and that’s where the work is needed. The number of the week is the mysterious but luck number 7. Just because someone hasn’t said anything doesn’t mean that they haven’t seen their reflection in you as well. 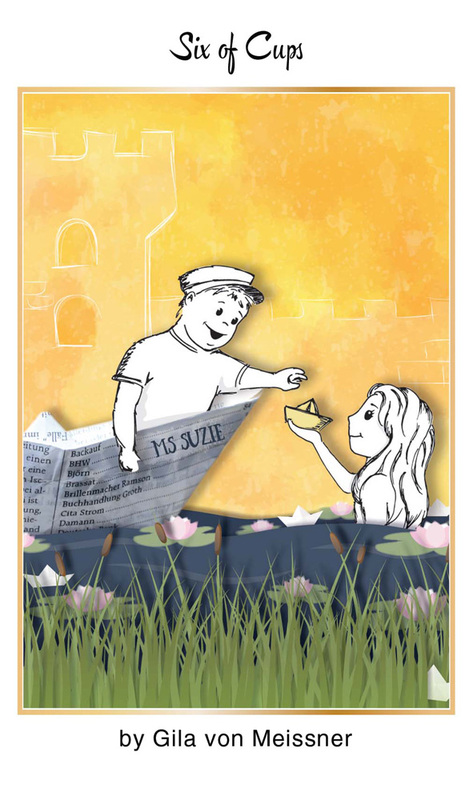 The 6 of Cups is a card about past happiness resurfacing. Something or someone good from your past is coming back around and you will have a different connection than you had before but in a good way. Moon trine Venus at 10:39 A.M. PST is a transit of love, beauty and creativity. You may bump into someone unexpectedly, but it will be a joyous meeting. 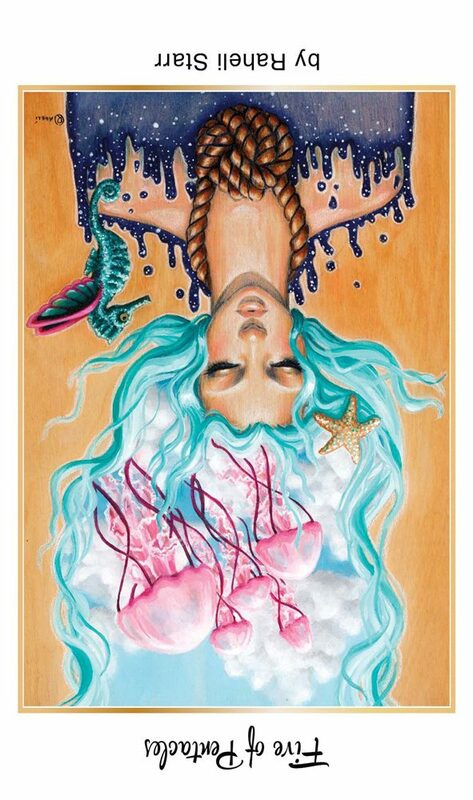 Moon sextile Neptune at 1:31 P.M. PST heightens empathy. Therefore, gravitate towards people who make you feel good to get the most out of this transit. The Moon is in the loving sign of Taurus today promising that if you take time to appreciate the beauty in life, you will be rewarded. The number of the day is lucky number 7. Mantra: Let’s take a walk down memory lane, its different now but nothing stays the same. 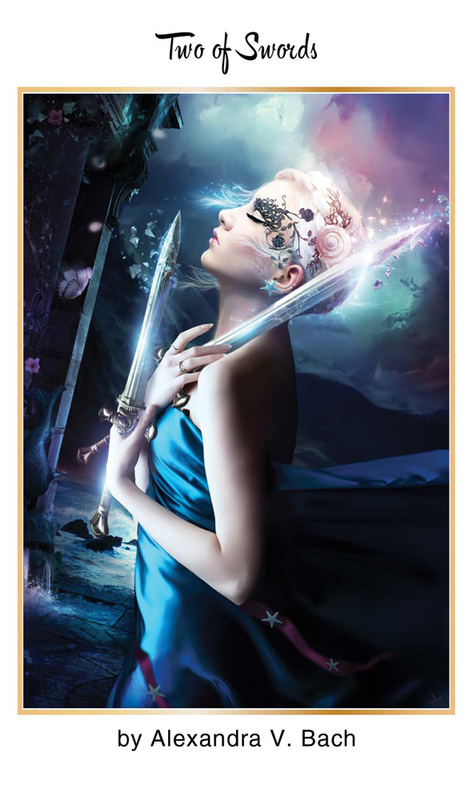 The 10 Swords is a card of finality. What’s done is done. There’s nothing left to do. Moon trine Saturn at 12:05 A.M. PST is a transit that encourages us to stick with what’s tried in true when getting through something difficult and that tried and true method is love. Moon trine Pluto at 10:54 A.M. PST is a transit that brings intense emotions to the surface. Lovers quarrels will be resolved in the bedroom. Moon square Sun at 2:26 P.M. PST is a transit that brings the first challenges of this quarter. Stick with the plan. Mars conjunct Uranus at 10:19 P.M. PST is a transit is a transit that will allow you to break free from whatever the challenge that presents itself will be. If confronted with a repeating problem, fine tune your approach. The Moon goes void of course in Taurus at 2:26 P.M. PST so be mindful of the needs of others and they will be mindful of yours. The number of the day is 8, a number of karma. Mantra: Transformation is a form of resurrection. 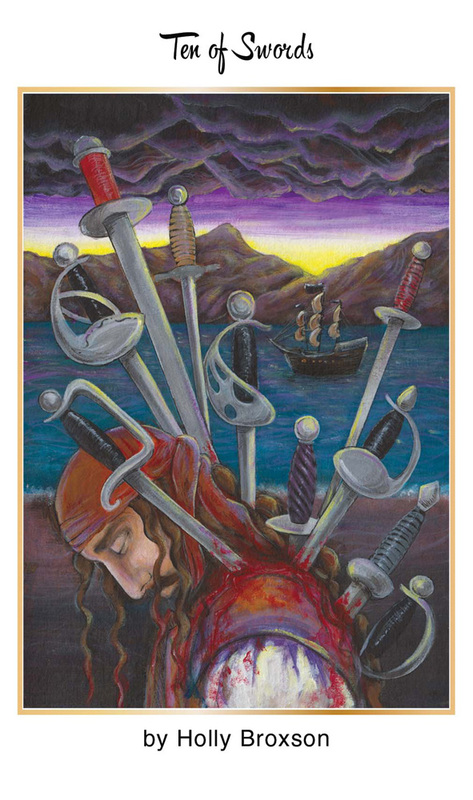 The 2 of Swords is a card of a truce. If you’ve been working on resolving an issue, especially one with someone that you have removed from your life, now is not the time to proceed any further. Give things space to breathe and go within to find out what your true feelings are about what has transpired. Moon square Mercury is a transit that promotes breakdowns in communication. Today is a day to work things out with yourself, not with someone else. The Moon is in the dualistic sign of Gemini all day so weigh both sides before you make a decision. The number of the day is 9, a number of near completion. Mantra: It’s not about what the other person wants, it’s about what you want. Upright the 5 of Pentacles is a card of poverty and reversed is a card about bringing the poverty mindset into perspective. If you’re too focused on what you don’t have, you will miss out on what you do have. Mars Enters the Arms of his lover, Venus when he comes to visit Taurus today where he will stay until 03/30/19. When Mars is in Taurus, people will work for what they want and this brings great satisfaction. This is a time to get what is out of control under control with a hardline mentality and dedicated approach. Dedicate time to your passions and see what unfolds. Moon square Neptune at 4:56 A.M. PST is a transit that can skew intuition. Accept things as they are and don’t look for the reasons why. Moon opposition Jupiter is a transit that will find you embracing your freedom of choice because change is a choice. Moon trine Sun at 11:49 P.M. PST is a transit that brings flowing energy to you so be open to what inspires you during this time. The Moon is in the dualistic sign of Gemini all day so know the difference between the past and present. The number of the day is 1(0), a number of endings becoming beginnings. The Page of Wands upright is a card that brings an initial spark. 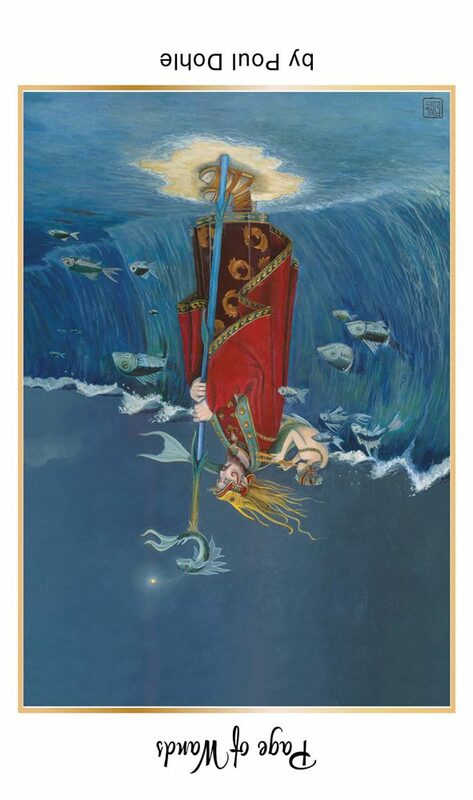 Reversed the Page of Wands becomes aware that a spark is coming but cannot yet manifest it. Moon sextile Uranus at 4:48 A.M. PST is a transit that brings revolution and change. Allow what is taking root inside you to be infused with passion. Moon sextile Mars at 7:24 P.M. PST is a transit that brings bravery and leadership. Focus on what you are manifesting and give it the life it needs. It will soon sprout. Moon trine Mercury at 11:39 P.M. PST is a transit that brings flowing communication. Speak your words into creation. Moon is Moon is void of course in the dualistic sign of Gemini between 4:48 A.M. PST and 6:03 A.M. PST when She enters the flowing sign of Cancer. Alchemize your desires. The number of the day is 2, the number that comes before the Trinity. Mantra: The future is incubating. 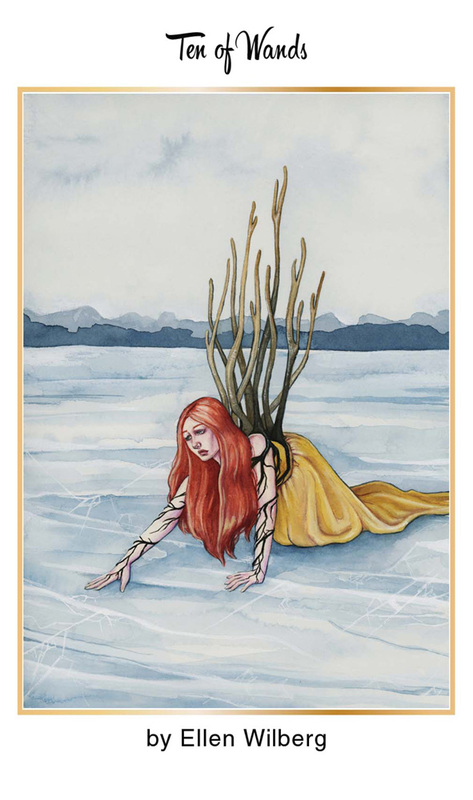 The 10 of Wands is a card of near completion. If you just push a little further, you can drop that load. But for now, it is your cross to bear but the good news is, the lesson is almost complete. Moon opposition Venus 6:23 A.M. PST may leave you crying for help but if your pleas go unanswered, know that you are strong enough to do this on your own. Moon trine Neptune at 7:49 A.M. PST is a transit that reminds us that if you are asking if someone cares, you already know the answer. Moon opposition Saturn at 9:40 A.M. PST is a transit that could leave you feeling sorry for yourself if you feel alone in your struggles but recognize that this is probably a passing, bad mood. Come here if you want to know a secret and the answers will be revealed to you with Moon opposition Pluto at 6:39 P.M. PST. The Moon is in the emotional sign of Cancer all day so know that sometimes it takes more strength to cry than to keep your emotions bottled up inside. The number of the day is 3, a number of things coming together. 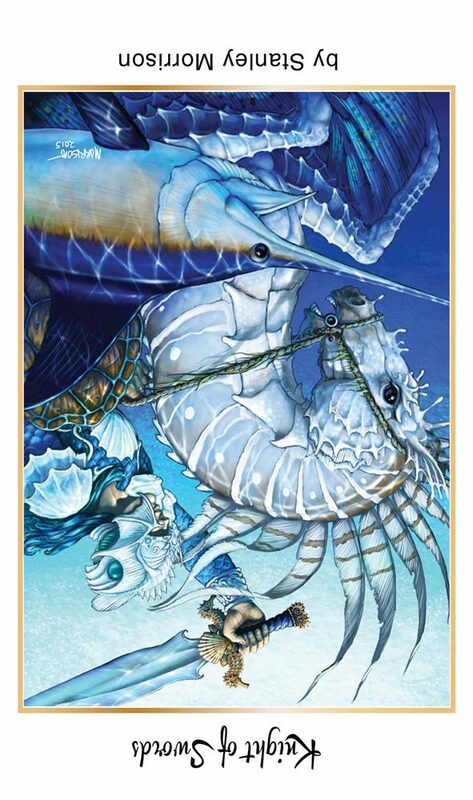 Upright the Knight of Swords is a card about rushing into battle. But reversed, the Knight is so confused and wrapped up in his own thoughts. He cannot possibly act on any of the thoughts racing through his head because his overactive mind makes it hard to stay focused on one topic long enough to take action. 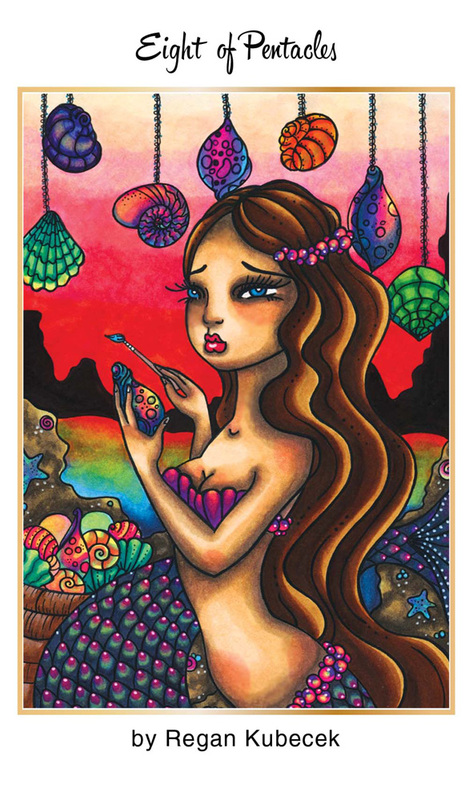 Venus sextile Neptune at 12:45 A.M. PST that will overwhelm you with love and beauty. It may feel as if you’re under a spell due to the intoxicating feelings flowing through your veins. Moon square Uranus at 6:17 A.M. PST is a transit that brings radical revolutions but it may require to give up what you love. Moon square Mars at 10:57 A.M. PST reminds you to watch your ego because ideas in your head play out much differently than what they do when acted upon. Sun sextile Uranus at 11:54 P.M. PST is a transit that will illuminate the consciousness and stimulate the imagination. This is a good time to sort your thoughts out through creative endeavors. The Moon is void of course in the emotional sign of Cancer between 6:17 A.M. PST and 7:21 A.M. PST when she Enters the fiery sign of Leo. Focus on what you love today. The number of the day is 4, a number of stability. Mantra: Sometimes the best course of action is no action at all. This entry was posted in 78Tarot, art, Astrology, mysticism, mythology, Nautical Tarot, numerology, occult, self help, spirituality, Tarot, witchy, Writing and tagged abundance, art, astrology, card a day, divination, dreams, empowerment, inspirational, love, magick, manifestation, mantra, meditation, metaphysical, motivational, mysticism, numerology, occult, pagan, predictions, psychic, self help, spiritual, spirituality, tarot, tarot reading, tarot weekly forecast, wicca, witchcraft, witchy, writing. Bookmark the permalink.